Used Bin Troll Tweets KK. “[Ex]Tradition: Scottish and Irish Airs, Reels, Jigs, Dances and Variations with Compositions of Carolan.” Var. comps: Var. pieces. 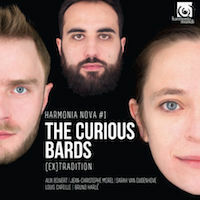 The Curious Bards: Alix Boivert (vln), Jean-Christophe Morel (cittern), Sarah van Oudenhove (viola da gamba), Louis Capeille (hrp), Bruno Harlé (fl), Ilektra Platiopoulou (sop). Harmonia Mundi HMN 916105 (1 CD) (http://www.harmoniamundi.com/). This Baroque quintet plays 18th-century Scottish and Irish traditional music. They’re energetic, warm and familiar, but finely precise. YES. 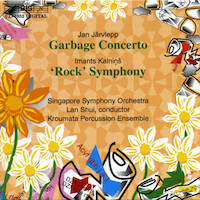 Jan JÄRVLEPP: Garbage Concerto (1996)1. Imants KALNIŅŠ: Symphony No. 4, “Rock Symphony” (1972)2. Kroumata Percussion Ensemble1: Roger Bergström, Anders Holdar, Leif Karlsson, Anders Loguin, Johan Silvmark (perc), Jackie Short2 (sop), Singapore Symphony Orchestra, Lan Shui (cond.). BIS CD-1052 (1 CD) (http://www.bis.se/). The percussion concerto for recycled garbage is clever and relevant. The tunes and design of Kalniņš’ minimalist symphony still delight. YES. 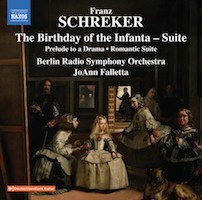 Franz SCHREKER: Vorspiel zu einem Drama (1914); Der Geburtstag der Infantin: Suite (1923); Romantische Suite, Op. 14 (1903). Berlin Radio Symphony Orchestra, JoAnn Falletta (cond.). Naxos 8.573821 (1 CD) (http://www.naxos.com/). Sturdily built pieces in the rich milieu of R. Strauss and Sibelius’ stage music, but attention will wander absent fizzle and crackle. MAYBE. Jóhann JÓHANNSSON: Orphée (2009-16). Var. perfs. 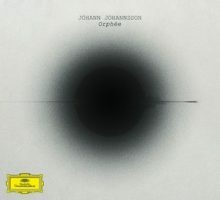 DG 00289 479 6021 (1 CD) (http://www.deutschegrammophon.com/). A smoldering minimalist pyre fashioned from novice piano etude chords and scraps spiced with scratchy “Numbers Stations” recordings. MAYBE. Gérard GRISEY: Talea (ou la machine et les herbes folles) (1986)1. Luciano BERIO: Requies (1983-84)2. Daï FUJIKURA: Concerto for bassoon (2012)3. 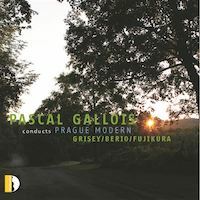 Prague Modern1,2, Pascal Gallois1,2 (cond. ), Pascal Gallois3 (bsn), Tokyo Metropolitan Symphony3, Tatsuya Shimono3 (cond.). Stradivarius STR 37031 (1 CD) (http://www.stradivarius.it/). Gallois takes Grisey’s mini-explosions and Berio’s whirling lamentation in stride. As soloist he eagerly navigates Fujikura’s concerto. YES. 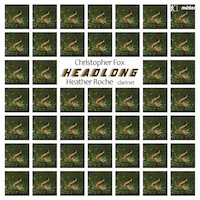 Christopher FOX: stone.wind.rain.sun4 (1989); Straight lines in broken times4 (1994); … or just after (1984); Early one morning (2014); Unlocking the grid (2015); Escalation (2003); Headlong (2007); Divisions (1980). Heather Roche (clar). Metier MSV 28573 (1 CD) (http://www.divineartrecords.com/). A mighty clarinet bolus best digested slowly. Roche adeptly navigates solos, duets and a trio (of clarinets, tape and/or electronics). MAYBE.